Vairankode Bhagavathy Temple is one of oldest Bhadrakaali temples in North Kerala. The temple was constructed by Azhvanchery Thamprakkal about 1500 years ago and Goddess here is believed to be the sister of Kodungalloor Bhagavathy. The annual Theeyattulsavam or Vairankode Vela is celebrated in the Malayalam month of Kumbham (February – March). The festival begins, on first Sunday of Kumbham month, begins with the ritual of Maram Muri, cutting a jackfruit tree for woods to prepare the fire of Kanalattam ritual. Cheriya Theeyattu, will be held on the third day and the 6th day celebration is called Valiya Theeyattu. 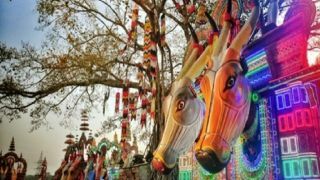 On both these days, procession of various folk art forms like Poothan, Thira, Kattalan, Pulikali from nearby villages and places are the major attraction. 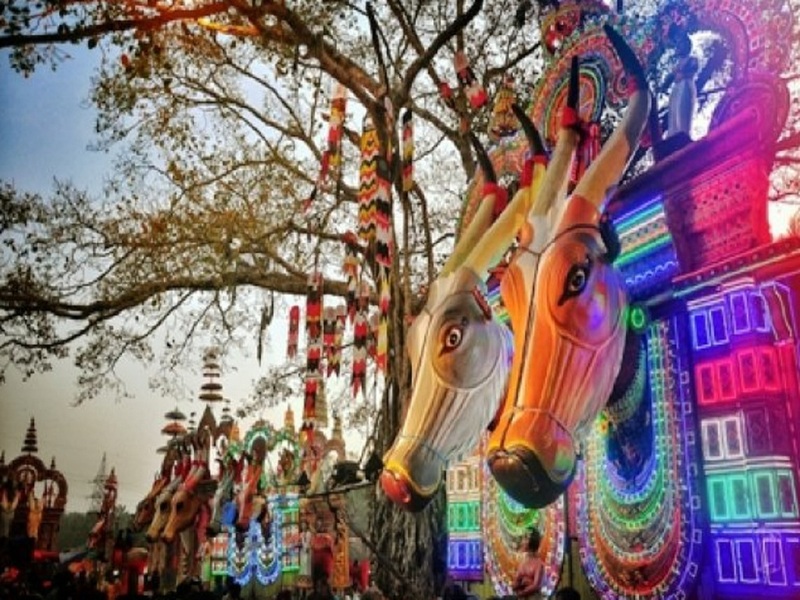 Eratta Kaala, the decorated effigies of bullocks is another highlight of the festival. The ritual of Kanalattam, devotees walking on fire, will be held in the midnight on the concluding day.